Here’s your chance to take an aerial silk course from either March 3rd and/or April 28th with the ZAW. 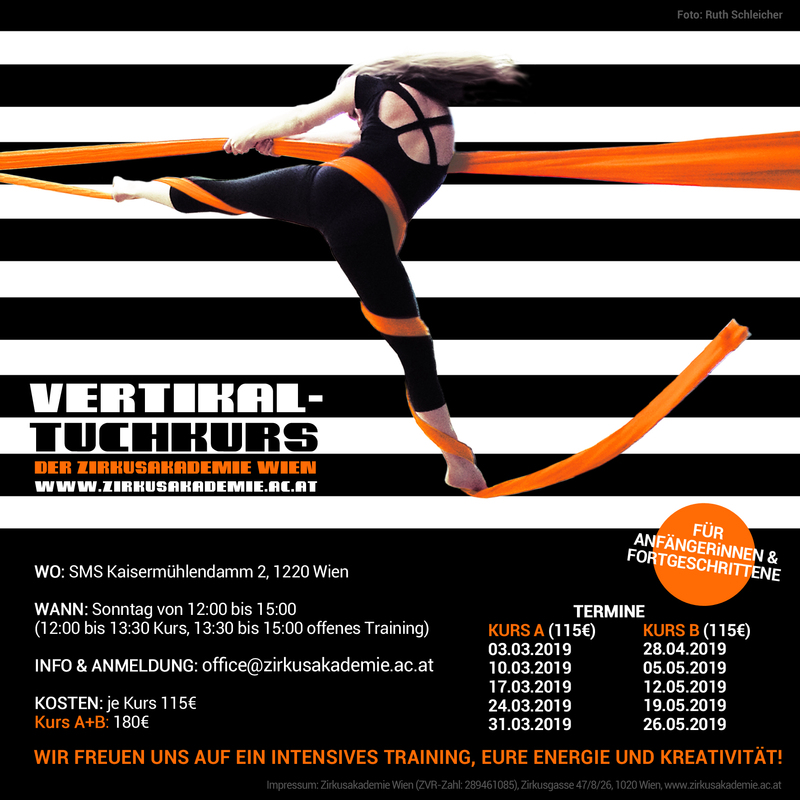 Courses take place on Sundays from 12:00 to 13:30 in the gymnasium of the school NSMS Kaisermühlendamm. Additional open training from 13:30 to 15:00 is included in the course fee. Registration is open now. This workshop is for beginners and advanced learners.